If you experience errors, it would be very helpful if you could drop us a note. Anyway, we do wish you a good start into 2009. We are looking forward to the new projects! “Production music” is basically defined by two core attributes – in content and in a legal attribute. 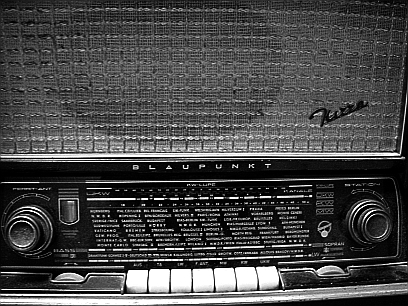 Production music is planned to be used in audiovisual products. A large part of the necessary rights can be clarified previously by a music publisher. The rights clearance can thus be cost- and time-saving. Production Music is offered by production music libraries, these are music publishers who act primary as supplier for the media industry. The Proud Music Library Publishing has a large online content especially for the media sector. It is easily to handle per search engine. Not every music style is suitable for the use in media productions. Production music however is picked out in respect of the different requirements of media producers/companies. 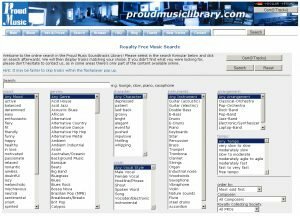 In our Proud Music Library you can search for different attributes like mood, character, instrumentation or tempo – depending on what style of music your current production requires. Posted on 3. January 2009 18. March 2015 Categories GlossaryTags audiovisual, genres, library, media producer, production music1 Comment on What is Production Music?